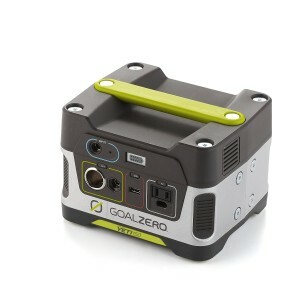 Goal Zero sells products that capture and store portable power. Their primary products include solar panels, rechargeable batteries, and accessories including lights, lanterns, flashlights, and speakers. 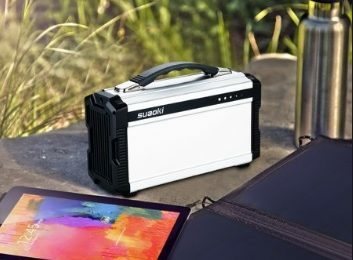 Goal Zero products range from small solutions for recharging devices like cell phones and notebooks using solar panels and battery packs to mediums sized solutions for laptop-size devices, to larger generator substitutes that can power devices as large as refrigerators or TVs using stored power. All of these power solutions can recharge with a solar, wall plug, or USB. The company offers products online and it serves customers worldwide. It was founded in 2009 and based in Bluffdale, Utah. Goal Zero products will fulfill your need for portable and cost effective power solutions. Their products are used all over the world, especially in central Africa where they represent the only energy solution. 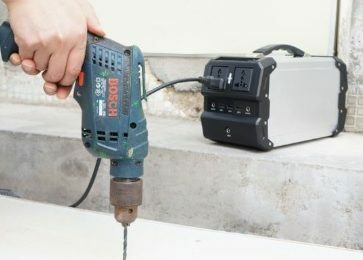 This one of the trustworthy companies with high quality products and their mission is simple: Power anything anywhere. If you are going camping and you can’t do without you electronic devices, the Goal Zero 22004 Yeti 150 Solar Generator is the solution for you. This fuel –free solar generator is powerful enough to provide the needed energy for camping or emergency situations. 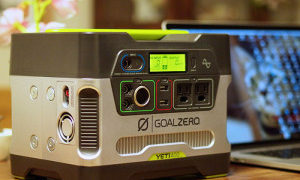 Also this plug-and-play, gas-free mini powerhouse, the Goal Zero Yeti 150 solar generator gives you the portable power to keep your lights, phones and laptops juiced up when the power is down. There are three ways of charging the first one being of course from the Sun, which takes roughly 11-22 hours with the recommended Boulder 30 Solar panel. The second way of charging is from the wall (AC Inverter included), which takes about 6 hours and the third one is from your car using 12V port, which takes about 8 hours. Common devices that Yeti 150 powers include Smartphones, MP3 Players, Digital Cameras, E-readers, tablets, Goal Zero Lights, Car Adapters, Laptops, DSLR Cameras, CPAP, Display Monitors, etc. It is important to know that it takes the same amount of time to charge your device from a Goal Zero power pack as it does from the wall. When you open your package, inside you will find a brand new Goal Zero Yeti 150 power pack with a wall charger and a 4.7mm to 8.0mm Legacy Nomad Panel Adapter. If there are these three things, you are good to go. When we are talking about design, Yeti 150 Solar Generator is a great winner. It looks very attractive with a beautiful mix of green, silver and black. You could easily match it with Nike LeBron sneakers and be a modern camper. It weighs only 5.4kg or 12 pounds and you have a handle for carrying your new travel friend. The dimensions are 7.8 x 6.8 x 5.8 inches. Under the hood, Yeti 150 Generator packs a 150Wh, 14,000mAh sealed lead-acid battery unit (AGM). An AGM battery is the same stuff you can find in your car, which is a kind of battery that should be kept full all times, and if you don’t drain the battery, it will last longer. Lead acid battery features 168 watt-hours (12V, 14Ah) capacity, hundreds of cycles, three-month shelf life, no fuses and built-in charging/low-battery protection. It is also crucial to know that the generator operates in temperatures ranging from 32° to 104° F (0° to 40° C). When it comes to charging, Goal Zero offers a variety of solar panels, depending on the capacity of the modules, and you have the option of picking the one best for your needs. Well, in my case, this depended on the amount of money I had in my pocket. I personally love the product! It does exactly what it says it will do, can’t ask for more than that! 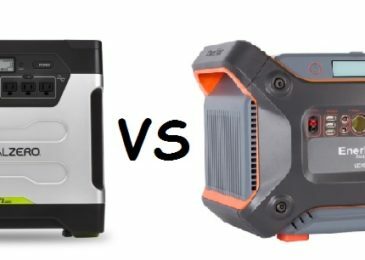 The Yeti 150 has been the one product that has at one point probably powered everything I take on a trip, and that is not a small number of devices! Of course when I bought it I tested it, will it charge my devices like advertised. The answer is YES! I can’t comment on if it will do an iPad 6 times like they claim, but it has charged my iPad twice along with running a 12v fan for 4 hours (.75Ah draw) and still had some in the bank. There are many positive things about this solar generator. When we look at the surface it has a stylish look and design, it is very friendly for outdoor activities and most importantly cheap! Another great thing is that there are multiple options for charging, and the AC inverter is included, not need to buy it separately. It is also compatible to different solar panels. A negative thing could be that if you decide to charge it by Sun, you will need extra cash for the solar panel. From my personal experience I need to warn you to be aware the product is heavier than it looks.